Be aware of print dimensions. Sometimes it helps to use a standard size. (Ask us for standard sizes if you aren’t sure what to use). Template files are also helpful in setting up your design. We have supplied a list of helpful templates that you can download here. If you cannot find a specific template just ask and we will supply one if available. How you set up your print file colors is VERY important! This includes logos supplied to us for file setup. CMYK is an ink-based color mode which is used in PRINT design. RGB is a light-based color mode used in WEB design. It’s important to note that RGB does allow for some brighter colors on screen, BUT these colors will not translate to print. Because of this, you should always create your print files in CMYK color mode first, not RGB. Some types of design, like logos, are used in both print and web. These will need to have both a CMYK and RGB version. We will sometimes ask for a vector copy of images, especially logos. Raster images usually refer to photos, but also include any flattened images. 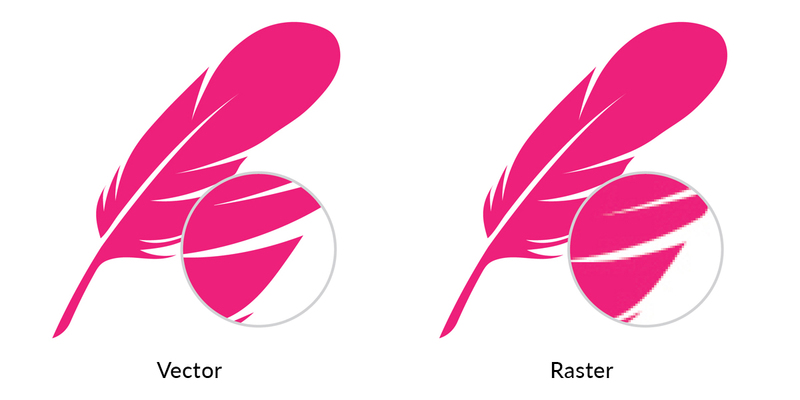 These cannot be scaled up without losing quality, which means you should always avoid rasterizing your logo, or including raster in your logo. When you change the size of a raster image, you shrink or stretch the pixels which can result in a significant loss of clarity and a very blurry/pixelated image. 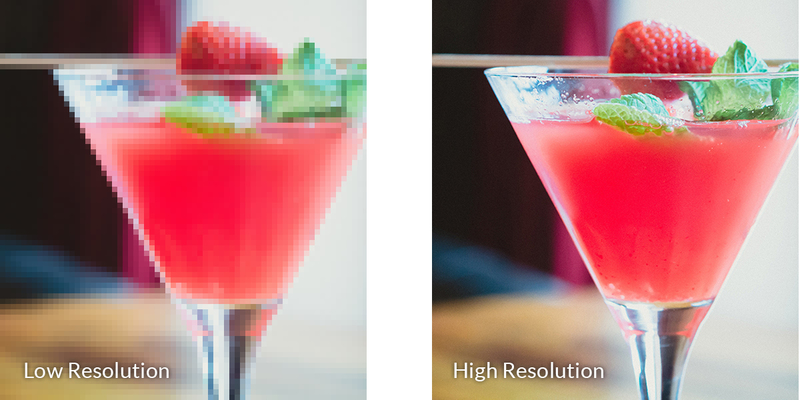 Resolution refers to the amount of pixel detail in an image. When using raster images in your print design, make sure to use High Resolution images. Bleed: The area beyond where the piece will be trimmed. Trim: If your design bleeds, it will need to be trimmed down to the final size. Safety It is important to keep your text & art that you do not intend to bleed within a safety margin. Non bleeding images should be at least 1/8″ from the trim. Text can be 1/8″ on small pieces such as business cards, but a larger margin of at least 1/4″ should be used on larger pieces such as postcards, flyers, brochures, etc. Now that you know the basics of creating print-ready files, send us your beautiful work to print! If you have any questions about your files, don’t hesitate to reach out and we will be happy to answer any questions you have.